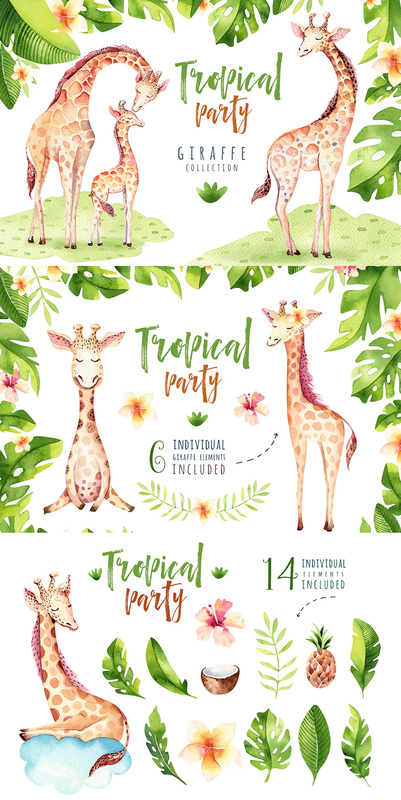 This is a beautiful set of high-quality hand-painted Giraffes. 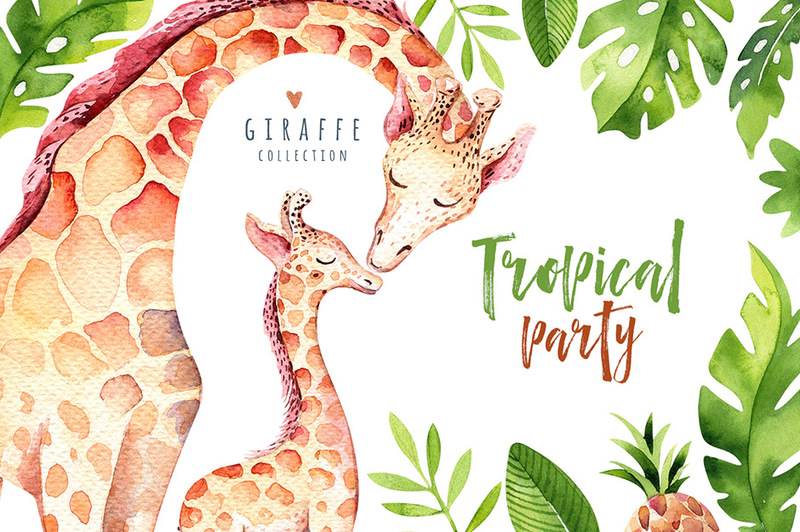 Tropical Illustrations party! File size is approx 101MB (213.5MB unzipped), offered as a single download.